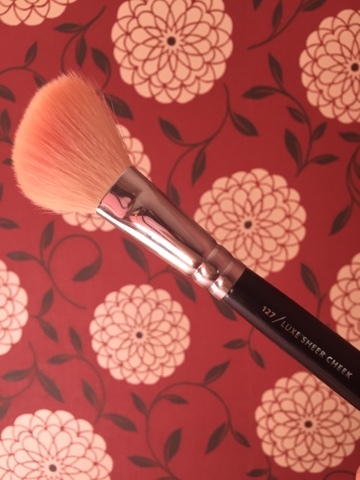 To be quite honest, the Luxe Sheer Cheek 127 brush by Zoeva has been my favourite for a very long time, not just this month, but I thought it was about time I gave it a mention on my blog! I've used a fair amount of brushes to apply my blush but they either add too much product or not enough. This is the perfect brush to get the right amount, becuase it's got a large surface area the product srpeads evenly across the face ensuring that you don't have one bright pink splodge on your cheek. I like that you can easy build up the product on the cheeks. If you have quite a powdery blush that can come across quite cakey at times, this is the perfect brush to blend it out and get a nice sheer, even cover of product. The brush retails at £12.80 which you can get off the official Zoeva website or Beauty Bay for £11.50 (with free delivery).